Current projects (2013-14) cover preserved tanks in many countries, but particularly Canada and the Netherlands. PreservedTanks.com has been created by Trevor Larkum of Armour Archive to provide information on preserved tanks around the world. It was initially built using the content from existing Armour Archive publications, including Preserved German Tanks 1: A7V to Panzer IV, Preserved German Tanks 2: Panzer V Panther to Leopard 2, Preserved Tanks in France, Preserved Tanks in Russia, and so on (these publications are available as paperback books from Armour Archive). The first books to be put online were Preserved German Tanks Volumes 1 and 2 (see the links at the top). Then the first chapters of Preserved Tanks in Russia (covering the Kubinka and Moscow collections) and Preserved Tanks in France (covering Normandy and the Saumur armour museum) were added. The site went online 8 June 2008. 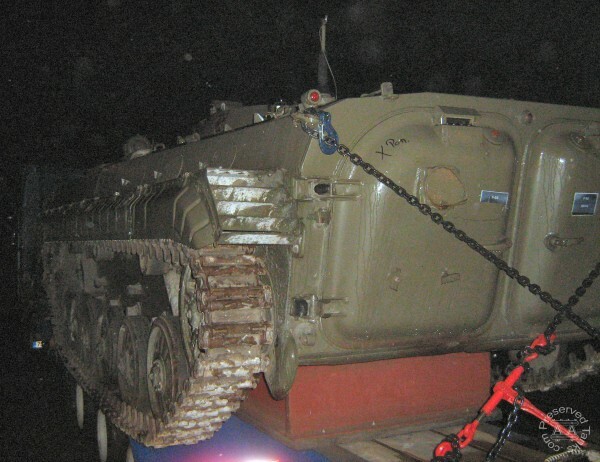 Since then a large number of tanks and collections have been added covering many countries of the world, including UK, USA, Canada, Netherlands, Brazil, Italy, and so on. This work is planned to continue until all preserved tanks (i.e. those no longer in military service) have been recorded. 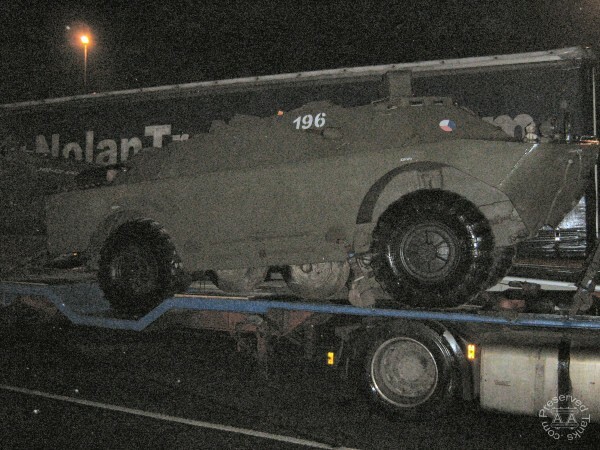 Last Saturday (19th April) I was returning home late at night with my family when my daughter spotted an interesting load on a low loader, seemingly parked up for the night, at Toddington Services (this was on the M1 motorway in the south of England). 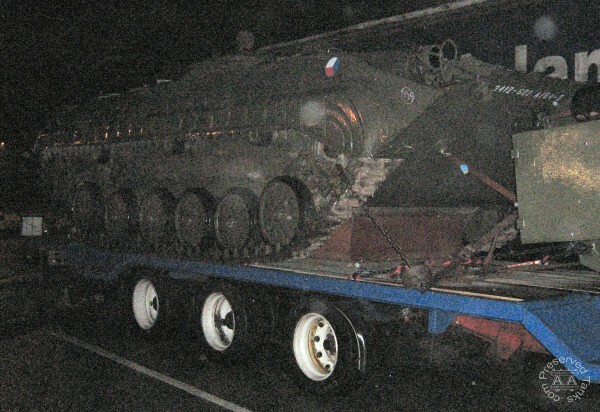 It was dark and raining hard but it was clearly a pair of Soviet armoured vehicles being transported north. The vehicle at the back appeared to be a BMP-1 infantry combat vehicle. The vehicle at the front appeared to be a BRDM-2U amphibious scout car (command version). The only other information I could glean was the likely source of these vehicles - the clue was a Czech Republic registration plate on the truck. Update 14 June: My thanks to palic at Com-Central.net for a more detailed identification of these vehicles; they are a BVP-1 (Czechoslovak-made BMP-1) and a 9K113/9P148 Mobile ATGM Launcher (with Konkurs ATGMs) on BRDM-2 chassis (NATO Code AT-5 Spandrel).